Airport Code Three-letter codes used to identify airports. Amenities Services and extras offered by a travel supplier. APEX (“Advance Purchase Excursion”) Fare Generally the lowest and most heavily restricted airfare. ARC (Airlines Reporting Corp.) Airline-owned corporation which accredits travel agents and sets regulation governing airline-agency relations. Back-to-Back Ticketing Booking two overlapping round trips with opposite origin and destination points, where both bookings meet restrictions required to obtain a discount fare (such as a Saturday-night stayover); then using one segment from each round trip for each direction of a single journey in order to get a lower overall fare. Baggage Check Official receipt issued by a carrier for luggage. Baggage Tag Personal identification that must be attached to luggage checked by an airline. Base Fare/Rate Price of a travel service before taxes and add-on charges. Blackout Periods Days or periods of high demand when special rates are not in effect. Boarding Pass A card given to a traveler indicating the seat assignment. Bumping Practice of removing confirmed passengers from overbooked flights. Carrier Company that transports passengers or freight. Capacity Controlled Limitation on number of airline seats, hotel rooms, or rental cars available under a particular rate or promotional offer. Car Class Size and type of rental car. Classes differ from vendor to vendor, and are stated usually as economy, mid-size, full-size, luxury, and specialty. Car Rental Agreement Contract between car rental vendor and customer. Charter Aircraft, motorcoach, or other mode of transportation reserved entirely for use by a group. City Pair Origin and destination points of a flight segment. Collision Damage Waiver (CDW) Daily insurance fee paid by a car renter to cover liability for accident damages to a rented car. Commission Percentage of sale price that vendors pay to travel agencies for selling their services. Commuter Carrier Regional airline operating from small locales to larger cities, often under an affiliate relationship with a major carrier. Companion Fare Promotional airfare whereby a second ticket may be purchased at a discount, provided two people are traveling together. Comp Rooms Complimentary rooms which a lodging facility provides without charge based on total number of sleeping rooms occupied by a group. Concierge Individual in a hotel responsible for attending to guests’ special needs and services. Confirmation Reservation, acknowledged orally or in writing, verifying a booking has been accepted. Most confirmations are subject to certain conditions. Connecting Flight Flight on which passenger must change aircraft at some point, referred to as the Connecting Point. Corporate Rate Discount rate available to traveling business men and women, customarily 10% below rack (standard) rates. Coupon Part of an airline ticket. The flight coupon is surrendered by the passenger at check-in. Coupons contain the formal contract of carriage. 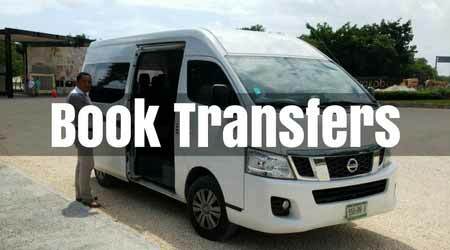 Courtesy Vehicle Van or bus which an off-airport vendor uses to pick up customers at the airport. CRS (Computerized Reservation System) Interactive electronic system linking individual travel agencies to a central, airline-owned computer. CTC (Certified Travel Counselor) Designation of professional competence attesting to a travel agent’s successful completion of a study program developed and administered by the Institute of Certified Travel Agents. Denied Boarding Compensation Compensation (money, free flight, or hotel accommodations) provided to an involuntarily bumped airline passenger with a confirmed reservation. Direct Flight Flight not requiring a passenger to change planes, though it may make stops. Discount Fares Short-term promotional fares or other discounted fares of varied duration. Double Hotel room with one double bed, or sometimes a room designed to accommodate two people. Double/Double Hotel room with two double beds. Drop Off Charges Fees assessed when a traveler picks up a rental car in one location and drops it off in another. Excursion Fare Round-trip fare with restrictions such as minimum and maximum stays or advance-purchase requirements. Extended Stay Generally, a hotel stay of seven or more nights. Fare basis Conditions, including service class and ticketing provisions, that determine a fare. Fare basis is designated by identifying letters and/or numbers on a ticket. Fee-Based Pricing Compensation to a travel agency by corporate clients from commission revenues generated by the corporations business. Flat Rate Specific room rate negotiated by a group and a hotel. Folio Written or electronic record of hotel guest’s account of financial transactions within the property. Frequent Flyer Program Airline club in which members accrue points or miles for trips taken, usually redeemable for free travel. Fuel Charge Amount charged if car renter does not fill the car’s gas tank. Gate Designated area in airport terminal where passengers for a specific flight board or deplane the aircraft. Gratuity Gift, usually money, given in return for service. Group Rate Room rate charged by a hotel for a group of 10 or more guests. Guaranteed Reservation Advance hotel booking where payment is guaranteed even if traveler does not arrive. Room will be held all night for a late-arriving guest. Hospitality Room Room used for entertaining. Hub Airport at which an airline has major operations and connecting flights to smaller destinations. Joint Fare Special fare for travel on two or more airlines to a destination. Last-Room Availability Electronic reservation system that provides users with current information about a hotel’s available inventory. Last-Seat Availability Similar to Last-Room Availability, but applicable to airline seat availability. Liability Coverage Insurance protection against injury and damage claims by third parties, available as option for car rentals. Limited Availability Limited number of reservations accepted for a certain advertised rate or special offer. Loss Damage Waiver (LDW) Variation of Collision Damage Waiver employed by some car rental vendors. Renters are advised to buy LDW to avoid liability for collision, theft, vandalism, loss of car, and other noncollision damages. Lowest Fare Guarantee Travel agency’s promise to provide clients the lowest fare available when reservation is confirmed. Lowest Logical Airfare Lowest airfare found within the parameters of a corporation’s travel policy. Management Report Data summary (from travel agencies, travel suppliers, and/or credit-card vendors) documenting usage patterns for air travel, hotel stays, or car rental. Meet and Greet Service that meets and assists clients upon arrival in a city. Meeting Fare Negotiated airline discounts, typically for 10 or more persons traveling to the same event. Meeting Rate Negotiated hotel rate offered to a meeting’s attendees. Mileage Allowance/Mileage Cap Number of miles a rented car is driven beyond the mileage allowance. Mileage Charge Charge assessed for each mile a rental car is driven beyond an established threshold. Minibar Hotel room cabinet containing snacks and refrigerated beverages. Items consumed are charged to hotel bill. Net Fare or Net Rate Price or fare for a travel service, less an agents commission and without tax. No Show Passenger or hotel guest who fails to cancel a reservation not used. Open Ticket Ticket that is valid for transportation between certain points but indicates no specific reservation. Overbooking Practice of confirming more seats or rooms than are available, in order to protect against no-shows. Override Additional commission paid to agents as a bonus for productivity and/or volume. Package Tickets or services bundled together and sold at single all-inclusive price. Prepaid Ticket Ticketing method in which a person or company purchases an airline ticket in one location for a traveler in another. The traveler picks up the prepaid ticket from the airline ticket counter. Profile Detailed information about a traveler’s personal preferences kept on file by a travel supplier. Rack Rate Official posted rate for a hotel room, published airfares, or noncontracted car rental rates. Rate Desk Airline or travel agency department that constructs fares for complicated itineraries, usually international. Revenue Sharing Travel agency rebate of commission revenue received on a corporation’s bookings. Room Tax State or local tax imposed on hotel room charges. Segment Leg or identifiable portion of a route traveled, usually stated in terms of originating and terminating cities. Soft-Dollar Savings Savings on travel realized through cost avoidance, such as rate discounts or free upgrades. Split Ticketing Issuing two one-way tickets instead of a round-trip ticket, usually for purpose of obtaining a lower fare. Standby Class of air passengers who hold tickets that do not allow for advanced reservations (standby fares), or are waiting for available seats. Supersaver Low discount airfare available with heavy restrictions. Surcharge Assessment by vendor or governmental entity in addition to published price or contracted rate. Travel Advisory Official warning or cautionary statement from the US State Department regarding travel to a particular area. Unlimited Mileage Ability to drive a rented car an unlimited number of miles without paying an additional mileage charge. Waitlist List of travelers waiting for people to cancel reservations for a flight that is sold out. Window of Convenience Two hours on either side of ideal departure or arrival time.